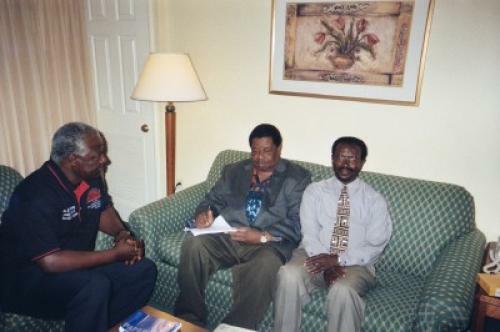 APC SEC.GENERAL AND COCORIOKO EDITOR REALIZE IT IS A SMALL WORLDThe APC Secretary General, Victor Foh, and the COCORIOKO Editor , Kabs Kanu, your humble servant, had cause to learn once again that we live in a small world.Foh, who had gone downtown and was not around when I arrived to visit and interview the APC Leader, came back from Somerset with aides and met the me interviewing the APC Leader. Foh was anxious naturally to hear this but waited patiently for the interview to end. After the interview, I motioned the corner to him and he followed me : “Where is my sister ( Your wife )” ? I asked him. The APC Secretary General was then told that this Editor grew up with members of the family in which he had married and to say he was surprised and excited would be an understatement. He was very excited as I named all his in- laws. and recounted how his wife’s family and mine lived virtually as one family in Bo during my schooldays.Yonta, though older than me , and her sisters and brothers even attended primary school with me and my elder brother, Max. Her brother, Sammy , and I were closer than brothers and were not only classmates but played together and exchanged comics as kids. Foh was so moved you could see the surprise on his face . 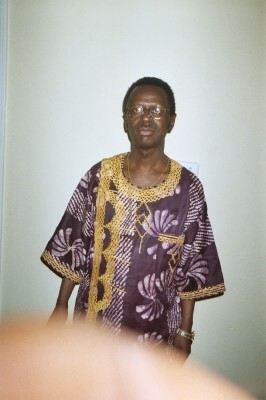 Foh took my hand and led me to Ernest Koroma and then to other APC stalwarts, introducing me as his “Komaneh” .He tried to introduce me to the leader, but Ernest told him that this Editor and himself were buddies at FBC in the 1970s. . The lesson to be learnt from this is that we Sierra Leoneans may have our different political associations , affiliations and philosophies but we must never forget that we come from a very small country where we are all interrelated somehow by marriage, kinship, tribe , region or other considerations. Victor Foh learnt that it is a small world, but then he was doing his job. He had to ensure that the Leader of the APC was safe . 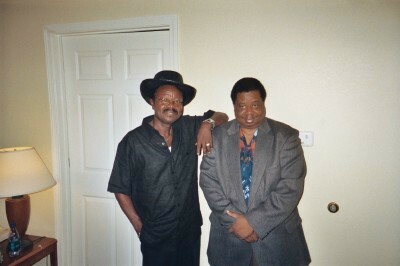 Foh (Right) and the Editor took this friendly picture afterwards. Indeed, it is a small world. 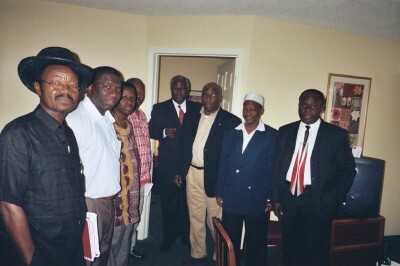 The APC Secretary General, Victor Foh, and Mortgage Banker, Foday Mansaray( In white shirt ), with the APC Leader’s delegation and some members of the New Jersey Chapter of the APC. 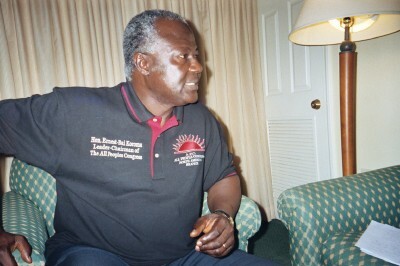 An Old Edwardians get-together at the hotel where the COCORIOKO Editor, Kabs Kanu , interviewed the APC Leader, Mr . Ernest Bai Koroma . 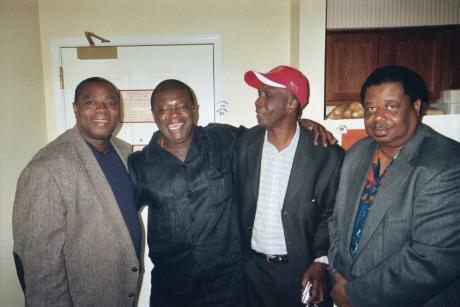 The Editor ( Right ) , an Old Edwardian too ( Attended St. Edwards Primary School 1962-63), was excited to meet one of his boyhood soccer heroes , Allieu Pat-Sowe (Second from right ) , who was one of the stars of the Old Edwardians soccer team of the mid to late 1960s .Pat-Sowe played alongside other Old Edwardian greats like the late Patrick Kemokai,the late goalkeeper Amadu Kargbo, Obi Metzger, Wasiu Sunmonu, Prince Elba ,Allister Walton-Davies, Daniel Kamara ( Fangay), Sylvanus Morado Kamara etc who captured the 1968 League Championship and the 1969 FA Cup. 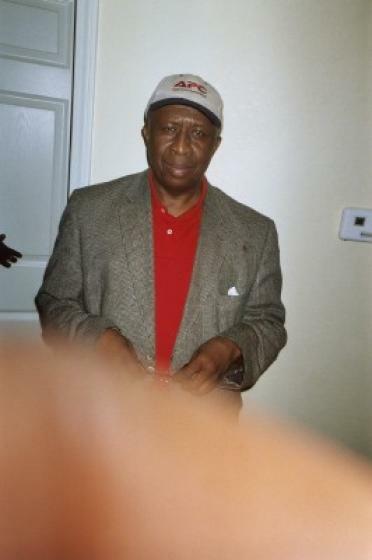 Obi and Wasiu joined Ports Authority after 1968 . 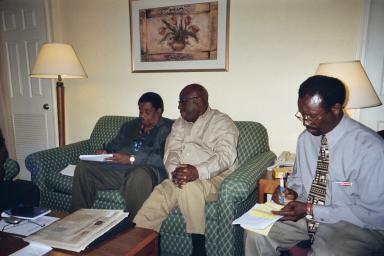 The Editor (Centre) seen here interviewing the APC Leader, Ernest Koroma ( Left). Sitting next to them is the President of the North American Branch of the APC, Mr. Alimamy Kargbo. 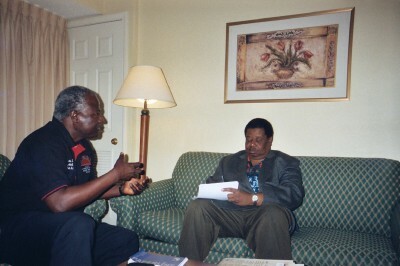 Alex Mansaray ( Centre) confers with the Editor while he was interviewing the APC Leader. 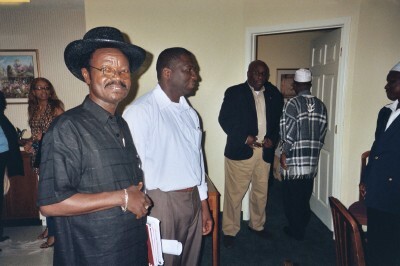 Right is APC North America Chairman, Alimamy Kargbo, taking notes too from the leader’s responses. 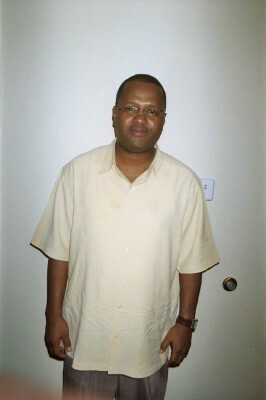 Business man , Mr. Asmad Barrie, the Internal Auditor of the New Jersey Chapter of the APC. The APC people pose for this picture after the Editor finished interviewing the leader of the party, Ernest Koroma. 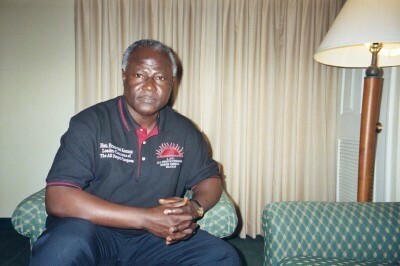 The APC Leader, Ernest Koroma , being interviewed by the Editor of COCORIOKO. 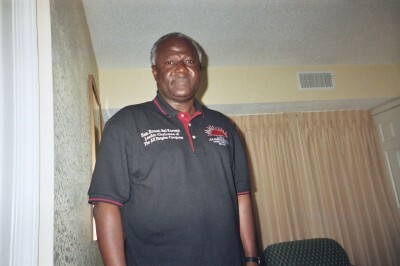 .The leader is wearing a special party T-shirt with his name and position inscribed on it. Watch his right chest . Copyright. COCORIOKO.